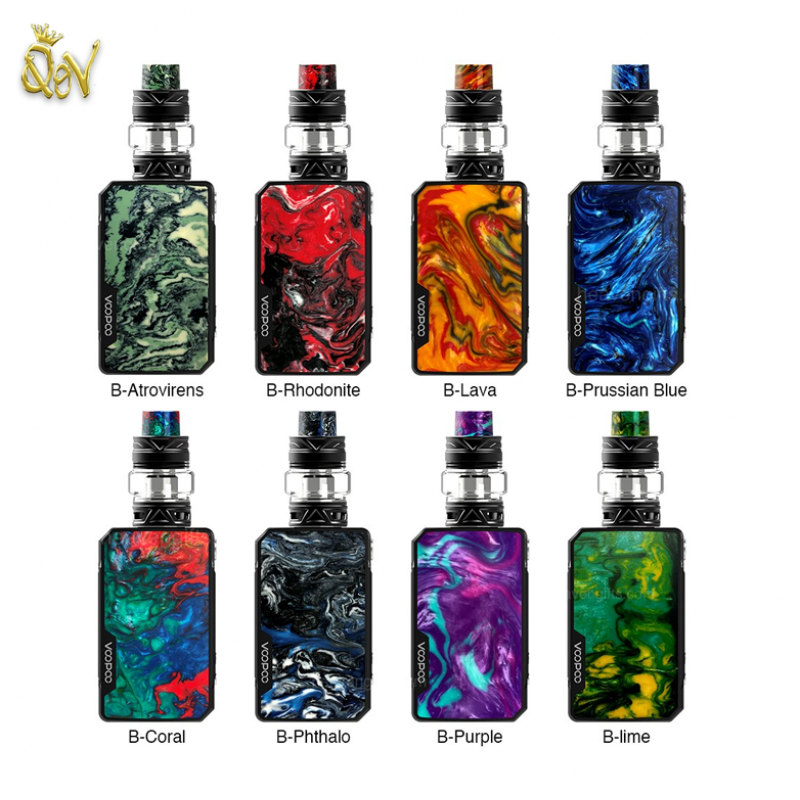 VOOPOO Drag Mini Starter Kit with Uforce T2 Tank features mini size and compact design, utilizes colorful resin panels to colorful your vaping life. Drag mini kit also adopts GENE chip to ensures excellent taste and enjoyable vaping experience. The innovative FIT mode intelligent match and protect tanks. With 4400mAh large built-in battery, it can fire up to 117W max output. The mod equips with a crystal OLED display to show parameters of device such as mode, resistance, voltage and wattage. The Uforce T2 tank features utilizes new mesh coil to bring better flavor. Drag mini kit is a best choice for enjoy great vaping life.